Join Doc as she goes from running her backyard clinic to taking charge of a new, state-of-the art TOY HOSPITAL! The excitement begins when Doc is transported to McStuffinsville, a magical new place filled with toys! There, she becomes the new Chief Resident of McStuffins Toy Hospital. Thankfully, she’s brought the whole gang to pitch in, with Lambie in the nursery, Stuffy on vet duty, Chilly as receptionist, Rosie the ambulance and, of course, Hallie too. Together, they’ll heal toys from near and far. Plus, there’s more! You’ll get to join Doc as she meets her new baby sister and learns how to care for her with toy Baby Cece! Super-stuffed with over two hours of heartwarming, song-filled fun, this is Doc’s biggest adventure ever! 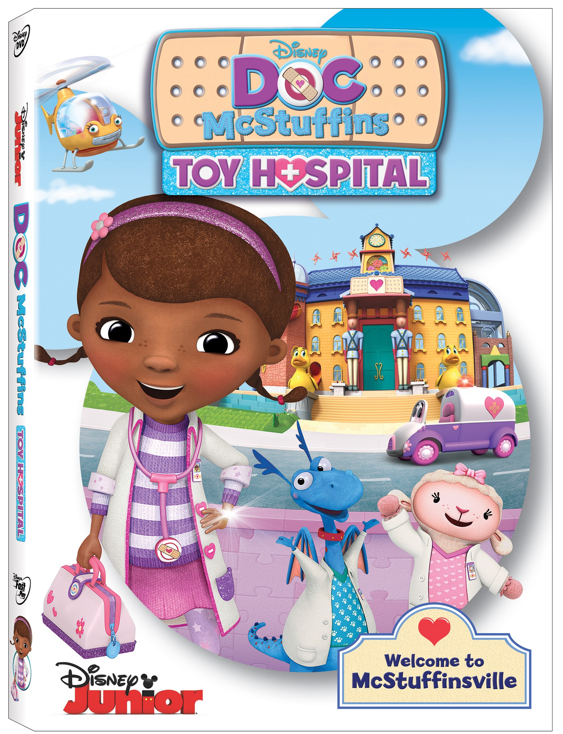 Now for the giveaway: One lucky person will win a Doc McStuffins – Toy Hospital DVD. This is open to US and ends 11/19/16 @ 11:59 pm est. To enter, Simply do the tasks on the Giveaway Tools widget below and you’re set to have a chance to win! Remember you can’t win if you don’t enter. It only takes one entry to win! Next post: Gourmet Meals In An Instant Giveaway with Meal Time Box! 2 Winners!